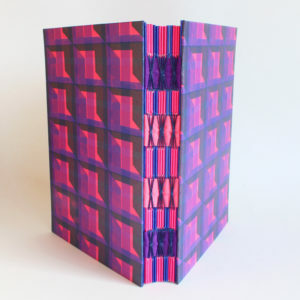 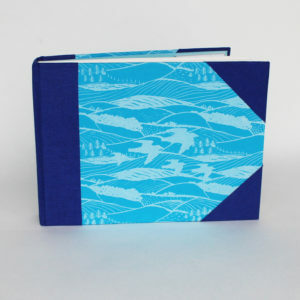 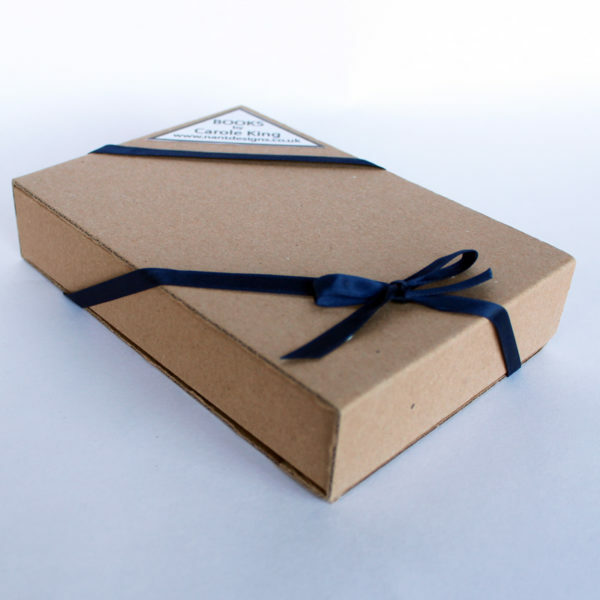 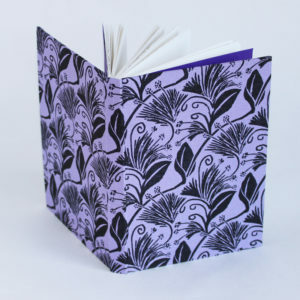 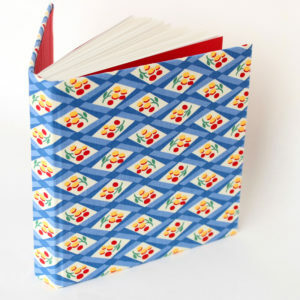 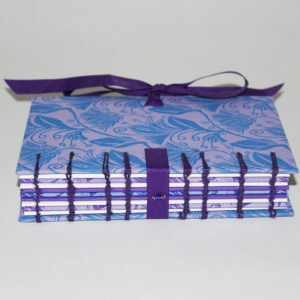 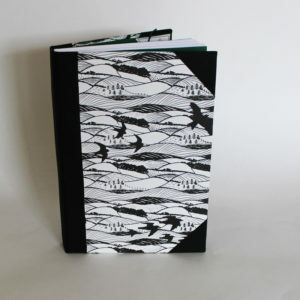 Hand stitched and bound sketchbook or notebook. 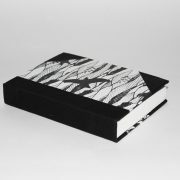 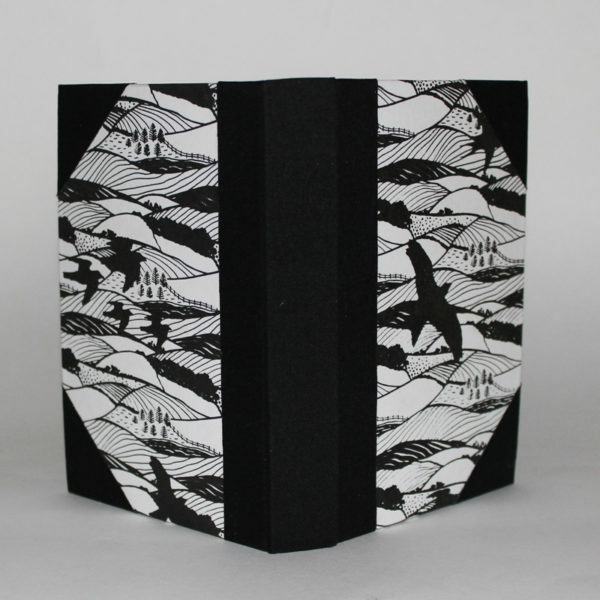 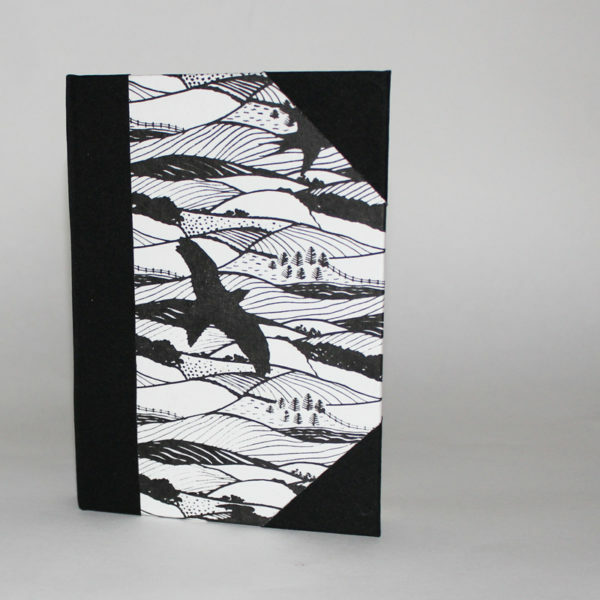 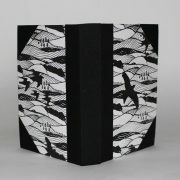 Covered with handprinted paper featuring some of the birds of west Wales- kites, buzzards, swallows and gulls printed in black on white. 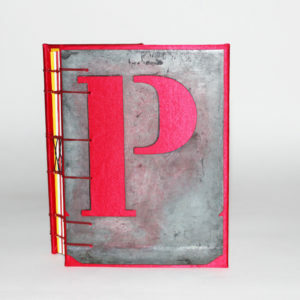 The corners and spine are reinforced with black book cloth. 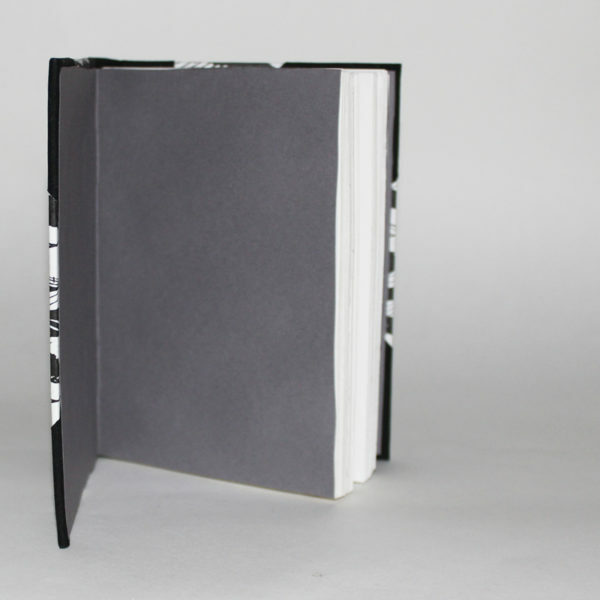 The endpapers are of mid grey paper. This book contains 80 pages of 140 gsm acid free, good quality white cartridge, suitable for all dry media and light watercolour/ pen and wash.
Hardcovers complete this useful size sketchbook. Supplied in simple cardboard box. 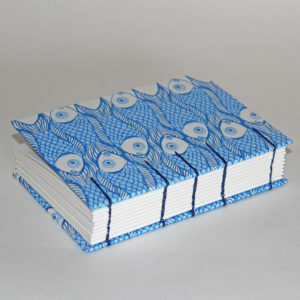 The design of this paper is inspired by the view from the windows in our house and studio.